Archive 1904 Feb "The Bulletin Voice of the California Writers Club"
This event is sponsored by Friends of the Fort Bragg Library, Writers of the Mendocino Coast, and the Fort Bragg Branch of Mendocino County Library. Thursday, May 17th, 6:00 p.m.
Young minds are filled with stories. Each November, students meet the challenge of writing a novel during the month of November. Join our NaNoWriMo writers as they read excerpts from their books. 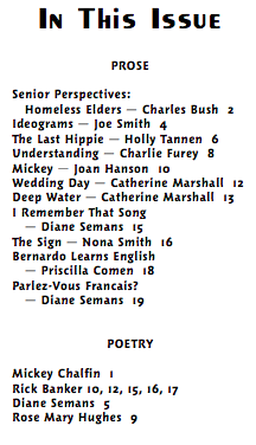 forthcoming anthology Fire and Rain: Ecopoetry of California. October 1, 2018 is the scheduled publication date. 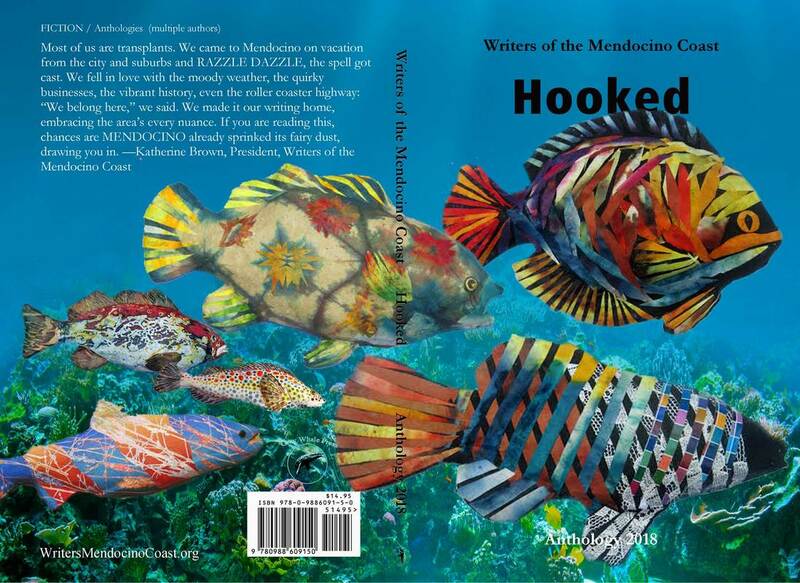 "The collective contributions to this anthology come together to weave a braid of voices examining and celebrating the dazzling variety of California’s unique biological zones. This anthology will provide an arguably much-needed platform for the ecologies of California—from Sierra to Mojave Desert; valleys and streams; coast and forest—and will hopefully take its place in the canon of the finest writing and writers of our state." 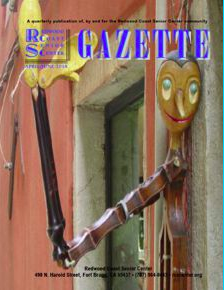 The current issue is out now and online. If you have something you think might be appropriate, please submit it. The workshops include samples of the various styles and techniques of poetry writing, displays of published works, in-session writing exercises along with readings and discussions of individual works produced during the workshops. Every third Wednesday of the month, 2-3:30 pm, find your hidden poet within! Workshops are free. All ages are welcome. Visit the library site for more. Readings by members for SmatchUp, where one writer starts a story with one page and another ends it with one page. Readings by twenty authors for SmatchUp, where one writer starts a story with one page and another ends it with one page. Lecture "Turning Facts into Fiction"
The participants of Ekphrasis VI met and exchanged writing and art with members of the Artists Co-op of Mendocino. Six local poets described their response to the idea of November, followed by a writing exercise with everyone. We are proud to share in this legacy. 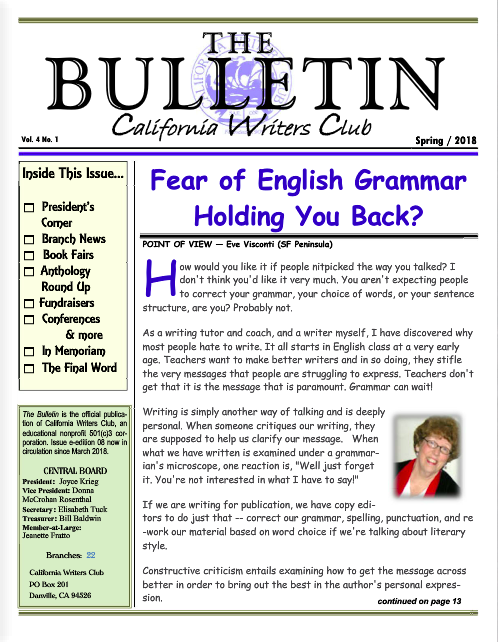 Founding President, Molly Dwyer, invited local writers to her kitchen table in 2009 to form the Mendocino Coast branch of the California Writers Club chartered in 2010. 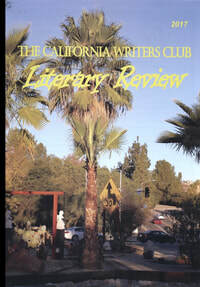 The CALIFORNIA WRITERS CLUB is a 501(c) (3) educational nonprofit dedicated to educating members and the public-at-large in the craft of writing and in the marketing of their work. NEW MEMBERS $65 includes $20 initiation fee. More information on the website's Membership page. Drop in to the library site for the list of recently added books and reviews by CWC member Priscilla Comen. Welcome to opportunities to publish your writing, whether or not you live on the Mendocino Coast.